You never realize just how much an area rug can make or break a room until you hit the carpet jackpot and get it oh-so-right. Between figuring out the right size for your space and narrowing down the pattern and texture that appeals most to you and your aesthetic, picking a rug can be a time-consuming activity—but the beauty of it is how wonderfully a gorgeous rug can tie a space together. 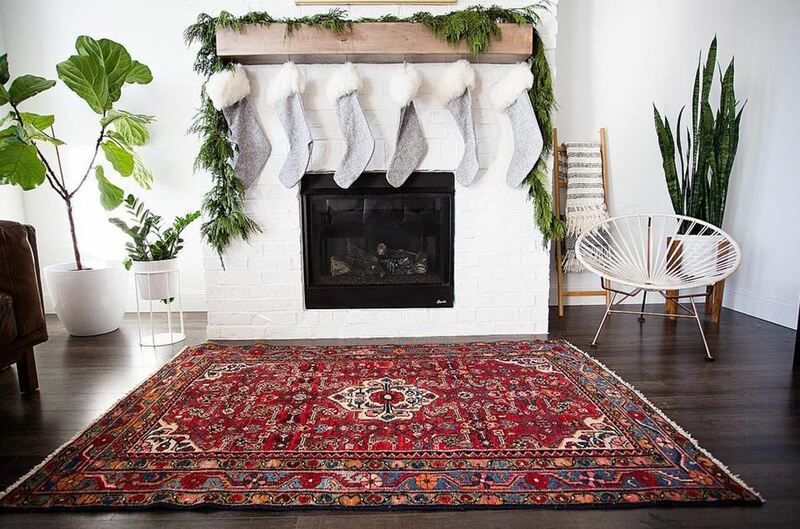 If you're coveting a vintage Turkish rug like the one pictured here, you don't need a passport to get this look—a flea market is a great place to start your hunt for the perfect rug. Check out more stunning rug trends and transform your space without ever lifting a hammer or a paintbrush. One of Morocco's biggest exports is textiles, and it's no question why. The small African country creates stunning rugs and blankets like nowhere else. There many types of Moroccan rugs, each one unique in its origin and craftsmanship. This Beni Ourain rug from Place of My Taste is recognizable by its monochromatic tribal pattern. You can find authentic artisanal versions at most high-end furniture stores, but if the price point is too steep, many American retailers have created gorgeous (and affordable) replicas. The white-and-black diamond pattern and thick-weave look of this rug is extremely versatile, and looks lovely in nearly any living room. Chevron is a hugely popular rug pattern that packs a big punch. This subtle, woven chevron rug from Nesting With Grace is a great way to add texture and pattern to a room without overpowering it. If you've been meaning to experiment with mixing prints, chevron looks great with nearly every pattern (floral, striped, tropical—let your imagination run wild). The kitchen may seem like a dangerous place for a rug, but it can be a wonderful way to add color to a neutral kitchen, and sprinkle in a bit of pattern where there may not otherwise be any. Though you'll want to be careful of stains, a rug can also add cushion under your feet for those long Sunday meal prep hours. Try a cheap runner or a faded vintage piece to ease into the look, as shown by The Chronicles of Home. Animal print is a trend that ebbs and flows in popularity, but it's been a focal point in house tours and on Pinterest over the past few years. This stunning cowhide rug pinned by HauteLook is a great way to add warmth to a white-washed living space. If you'd rather stick to man-made, try a faux sheepskin in the bedroom or even the bathroom. Let your home be loud and proud. From wallpaper to flooring, bold geometric prints are so in right now. A bright, patterned rug makes a big statement in any space; the green block-patterned rug in this tropical-inspired bedroom ties the whole look together, as shown by Old Brand New. 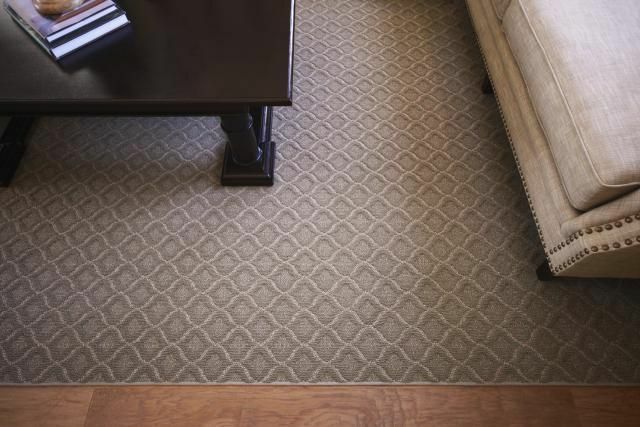 Try this rug trend in entryways, dining rooms or dens to pack a punch without a lot of legwork. Kilim rugs have long been at the front of design trends, and for good reason. Originating from Turkey, North Africa, and the Balkans, and known for its rich history and even richer colors, these flatweave rugs are bold, beautiful and timeless. A gorgeous kilim such as this pinned from ​Foxtail + Moss is a great way to add color to a wood-heavy living space or to brighten up a guest bedroom. If you search for a rug online, you're bound to come across dozens of "vintage" pieces, perfectly faded to achieve an old look. While we love these rugs in bedrooms and living spaces, this trend is a great opportunity to rescue grandma's worn-out rug from your basement and give it a new lease on life. While once it may have looked drab and dated, faded vintage rugs are back in style—pair with more modern furniture to keep this look fresh.